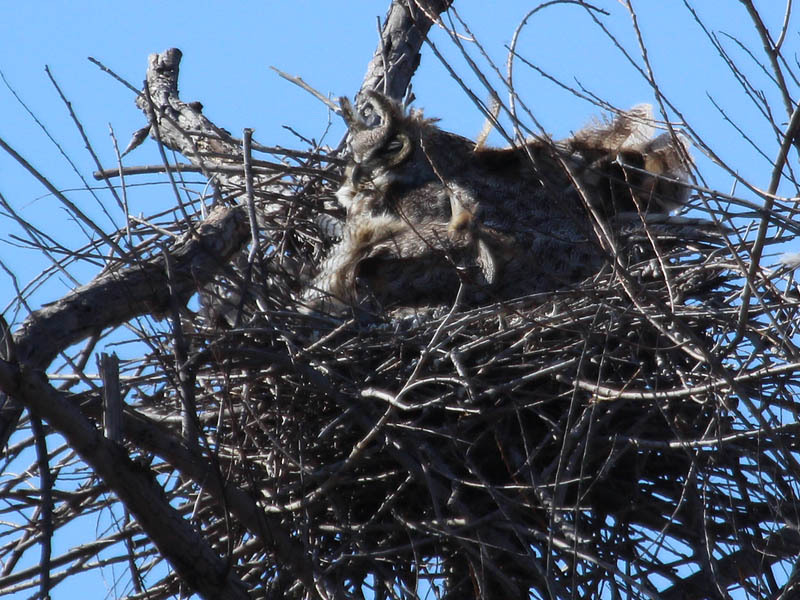 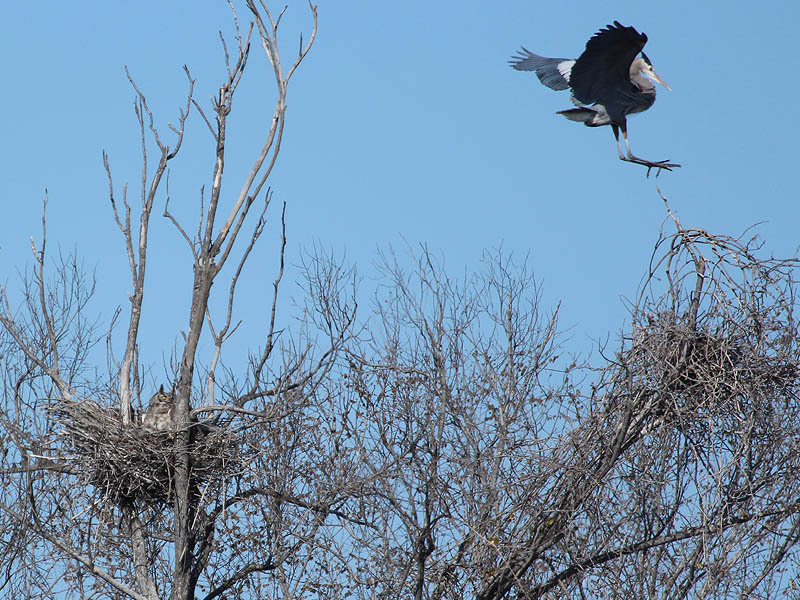 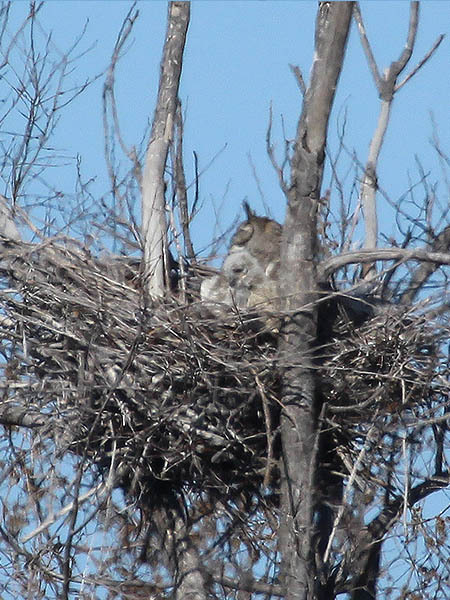 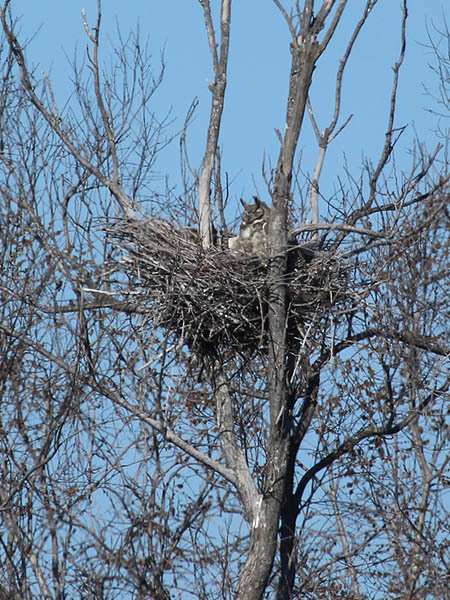 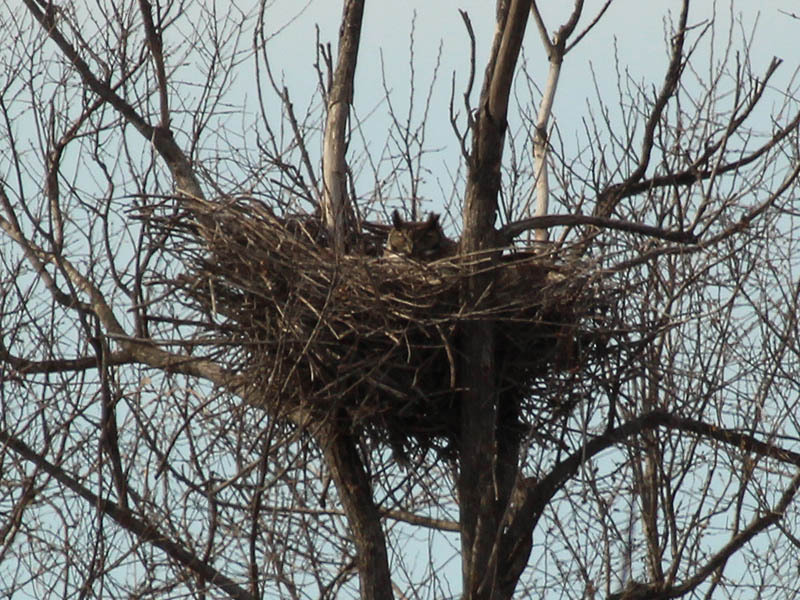 Activity at the south Great Horned Owl nest this weekend included the female owl keeping a close watch on the approach and landing of a Great Blue Heron. 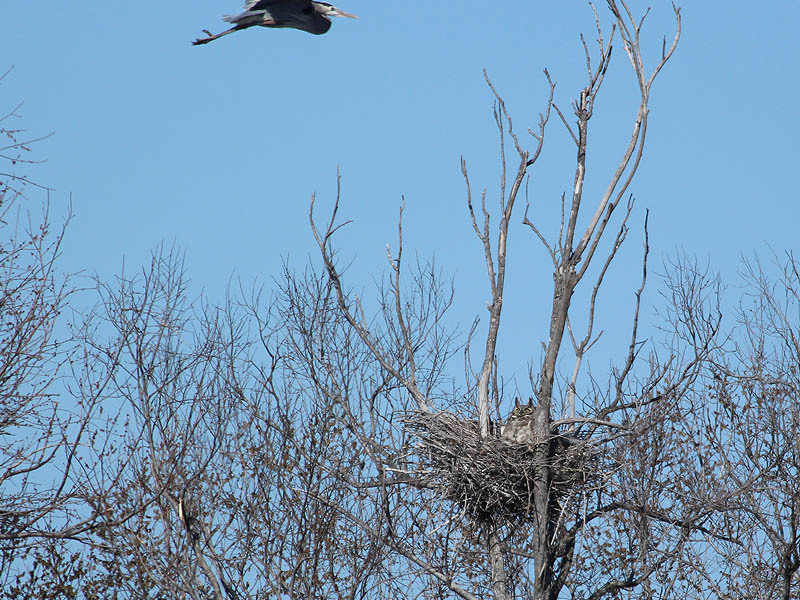 Shortly after the heron perched, one of the nest’s owlets peeked out from under its mother to have a look for itself. 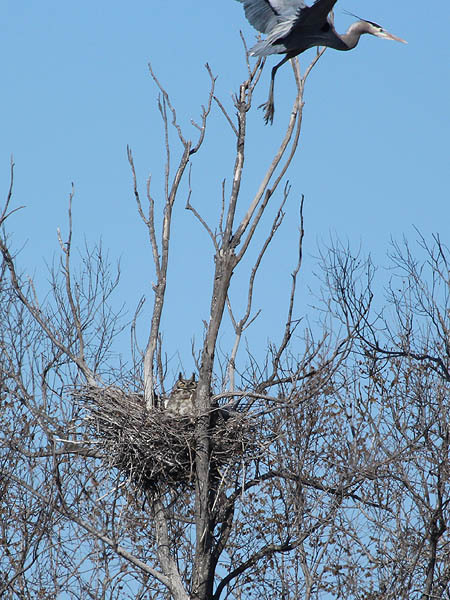 Things were quiet at the north nest, and there was no opportunity to see the owlets that are reportedly there. 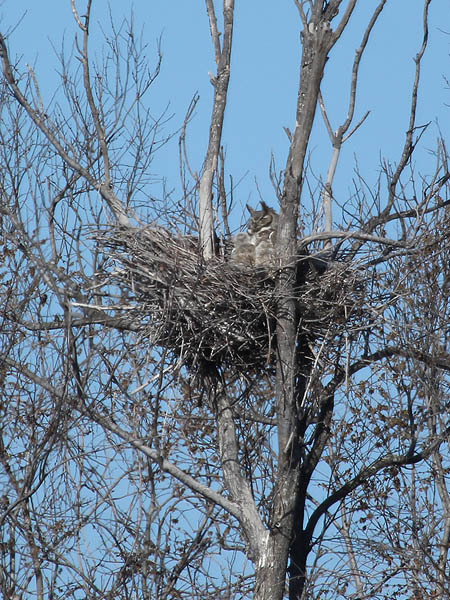 Instead the mother owl was fluffed up and hunkered down against the biting cold of the north wind.